If you’re like me, during the week, time is of the essence. My meal planning efforts come in waves and the grocery list is usually copied, and used, week after week – that is, my family and I ate similar meals on a weekly basis. Boring, right? My creativity in meal planning was suffering – and the family was less than impressed. That is, until this Granny’s Poultry product became available. I use my slow cooker at least once a week; typically on weekends, when I actually think about what I want to make and have time to prepare it. Though, I’m doing it all wrong – slow cookers are meant for weekday use, when the oven or stove can take a time out, and there is very minimal preparation time required. The Slow Cooker Turkey Roast is fantastic because you don’t even need to think about thawing – it’s a cook-from-frozen product. That’s what I love about it. My family can enjoy a delicious, complete meal even when my memory has failed me and I have forgotten to take something out of the freezer. 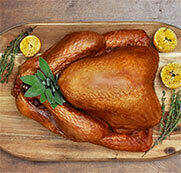 Turkey is very versatile – meaning, it can be substituted in any recipe. 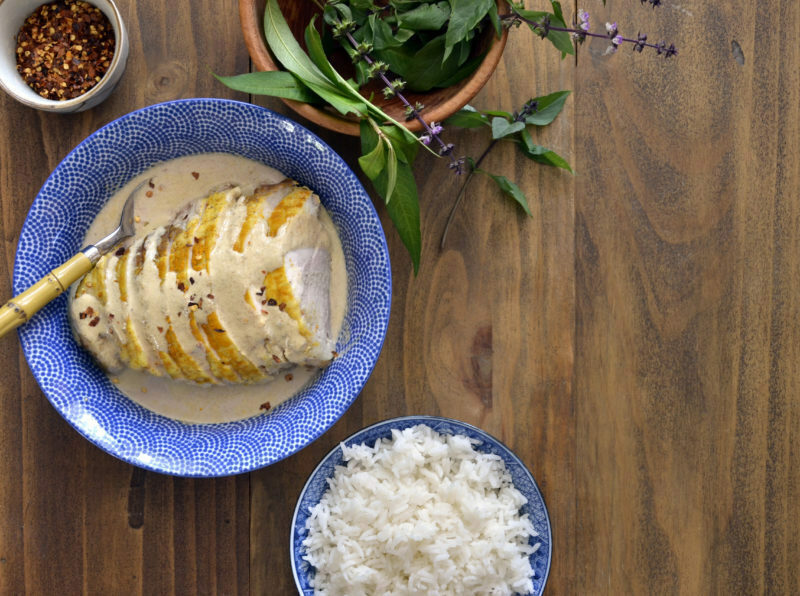 For instance, curry is typically made with the other poultry, but in this case, turkey is a healthy choice. This recipe, for example, was actually made for the Slow Cooker Turkey Roast and it is as delicious as it is healthy. Turkey Tip: I prepare the mixture the evening before and place a plastic wrap over the crock and into the fridge. 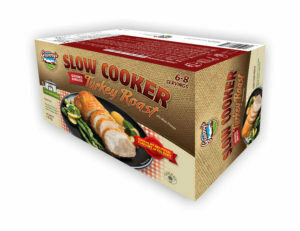 In the morning, I remove the crock, place my turkey roast [from the freezer] on top and set my slow cooker to low. Cook on low setting for a minimum of 6.5 hours then set slow cooker to warm. Turkey Tip: If you have a manual slow cooker, fret not. This roast can be slow cooked for longer, without drying out. 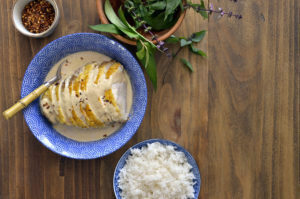 For more Slow Cooker Turkey Roast recipes, browse our recipes. If you missed the CTV Morning Live segment this morning, you can watch it here.